Are your kiddos excited to make new friends this school year? Reed is beside himself with excitement! 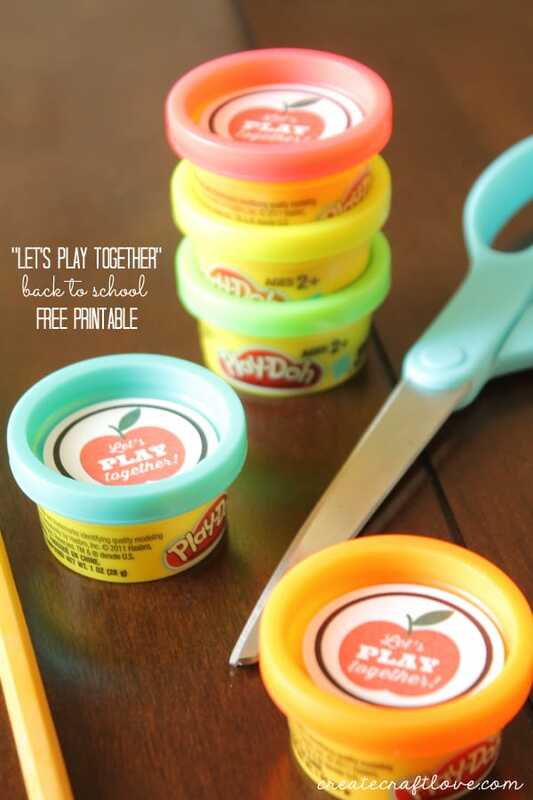 When I found this party favor Play-Doh pack at Walmart, I thought it would a great way to break the kindergarten ice! 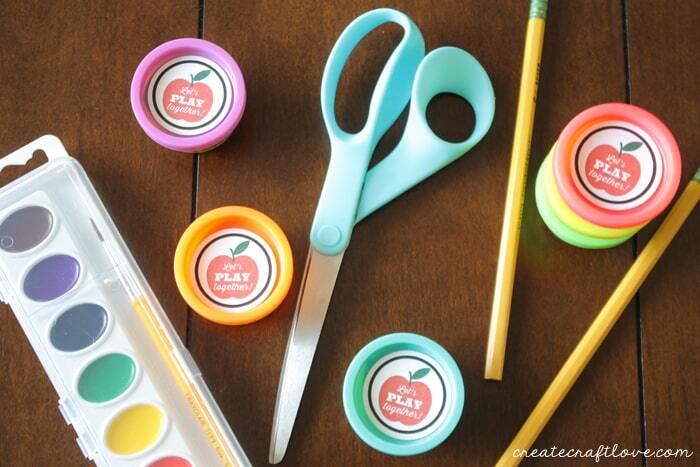 Add a cute back to school printable for a personalized look! The party favor pack includes 15 cans of Play-Doh. They are so tiny and cute! 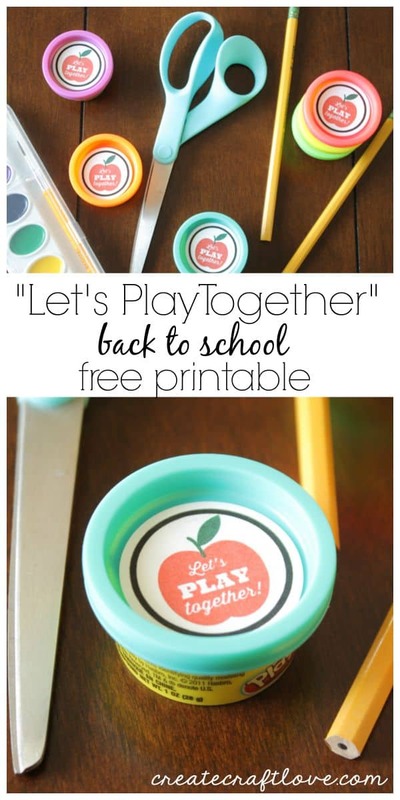 This Back to School Printable includes sixteen 1.5 inch circles that can easily be cut out with a 1.5 inch hole punch. 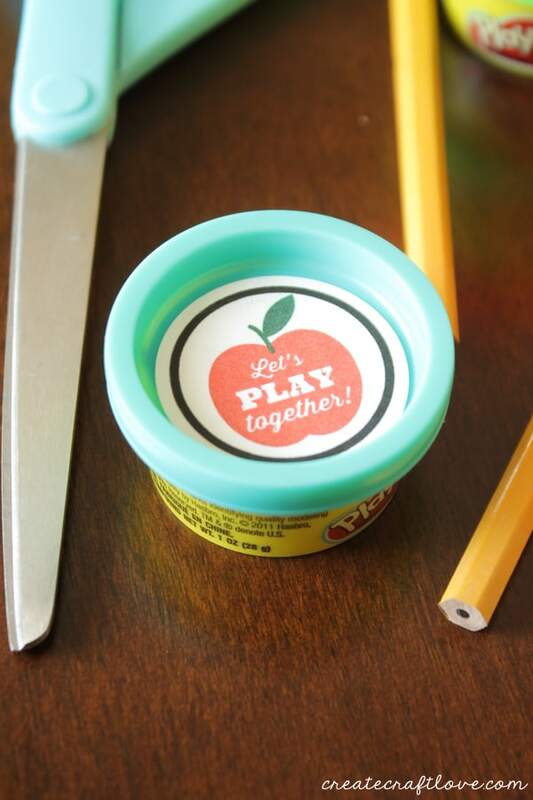 Simply print on some plain white cardstock, punch and glue to the lid of the Play-Doh! Click HERE to download your FREE Back to School Printable!